Tesla is more than just a piece of innovation. The way it revolutionized the automotive industry is a phenomenon of its own. Today, you can buy a new Tesla either online from the Tesla Design Studio or from a location of their retail network. If you want to own a Tesla but can’t afford a new car, there’s an option to buy a used one. If you end up purchasing your electric vehicle out of state, you need to evaluate your transportation options. One way to move your Tesla is to drive it home personally. Yes, we know that this may be the most tempting choice. Who wouldn’t want to jump in for a ride straight away?! Keep in mind, however, that you just spent somewhere between 35k and 90k for this car, if not more. What if it gets scratched even before you get it home? After all, this is a luxury car. You don’t want even the smallest dent. If you choose to be brave and drive the car back home, you have to calculate very precisely the distance you need to cover. If you bought your Tesla from out of state, you have to plan your route and know where the Superchargers are. You have to do a very precise calculation of your electricity usage so that you have enough for the whole trip with fewer stops. This can be tough when you cover longer distances. At most importantly – it can take all the joy out of your fresh new Tesla. It doesn’t really matter which Tesla model you buy. Each Tesla requires special attention. After you found a seller you trust to buy a Tesla from, you need to find a carrier you can entrust it to. When researching, you should look at two main things – a promise of good customer service and referrals that prove it. You need a transportation company that has experience in shipping a wide variety of vehicles types. A company that can prove they have experience in satisfying various clients’ needs. Look for signs of white-glove service as your Tesla deserves nothing less. Don’t be fooled by low prices and big words. You have to be able to trust the people behind the company. If they believe in future of electric vehicles, they are the ones! Seriously though – you won’t be able to leave your Tesla with someone who doesn’t appreciate it. In 2017, the USA electric vehicle market saw a 40% growth. We saw more state regulations about environmentally friendly vehicles, cheaper and better batteries and more innovative technologies. We see that there is no single reason for the rapid market growth, but we all know Tesla Motors is among the main drivers behind it. There are a number of things that make us WOW at all Tesla models. The design is at the top of the list, of course. Not only the exterior but the base foundation of the car. If you look at a bare Tesla platform, you’ll see that it looks a lot like a flat skateboard. This allows for more space in the car and the trunk area. Speaking of a trunk, have you met the Tesla ‘frunk’? Yes, we could describe it as the front trunk, but why do that when it has its own super-cool word. The batteries, too, are something quite unique for Tesla. They store 50% more energy than other BEV batteries, which is what makes Tesla not only beautiful but also smart. Not only that, Tesla Motors is the only company in the world that classifies as a full-scale clean energy corporation. Some even consider it to be a social business. While this can be argued, there is no debate about the fact that Tesla is a brand that lives with the environment in mind. Many other automotive brands are bringing their electric vehicles to the market. Yet, it is Tesla that keeps getting all the attention. We haven’t seen any other EV in space, after all, have we? If this doesn’t prove that Tesla is the most spectacular EV brand ever, we don’t know what would. Which Tesla should you buy? Tesla’s portfolio is slowly expanding, and somehow each new model that Elon Musk introduces causes a frustration. The Roadster and Model X do not attract too much drama around them. Yet, we cannot say the same about the other two models. There’s been an ongoing debate for some time now on whether one should buy a Model S or wait for Model 3. The differences are not only in price but also in utility. Of course, each comes with its own benefits and drawbacks. You will find plenty of information on both, but the decision has to be all yours. Model S is Tesla’s flagship car. Even though we still remember the Roadster, somehow Model S stole the spotlight. It is a premium sedan stated to be the safest car in its class. What makes Model S great is the higher range of acceleration. Of course, this comes with a higher price as well. You also have a little more passenger and cargo room. And there are two displays instead of one. Your delivery time for a new Model S is up to 14 days since the car is already in Tesla’s inventory. If you need a new car urgently and you insist on a Tesla, this would be the right model. You will have to pay nearly twice as much as for a Model 3, however. Even though it’s the more expensive of the two models, you get quite a number of financial benefits with this one. Model S qualifies for a $7,500 federal tax credit and other state-sponsored tax incentives and rebates. What is even more amazing is that it comes with unlimited Supercharging for the duration of ownership. Model 3 is the newest Tesla car. It is the smaller and more affordable one. While many consider it to be the next version of Model S, it is not. Rather, it is a completely different model which Tesla will be optimizing along the way. The smaller range and acceleration are what make Model 3 the more affordable Tesla. 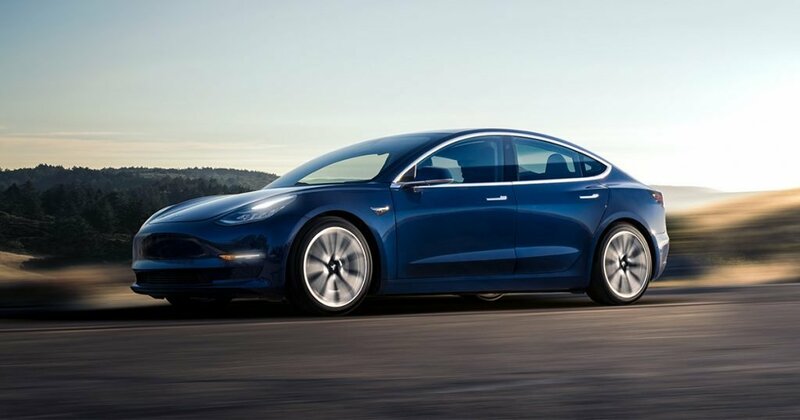 Despite the delays in production and delivery, the base price for the model is still at $35,000. The price remains the same even though Tesla has had some financial difficulties in the past year. Not so good for them, but quite the deal for all of us that want to be Tesla owners. If you want to have a Tesla but don’t need the car right away, the delivery time will suit you. You would have to wait for a new one between 12 and 18 months. Model 3 is great for first-time owners of electric cars. If you want a luxurious car that is friendly to the environment, and you don’t need all the extra benefits, this will do. It is still a Tesla after all. What Model 3 owners love is the size of the car – it is much smaller than Model S which makes it more suitable for in-city driving. The stats show that nearly 50% of the Teslas sold in the USA live in California. If you also want to send your Tesla to California and roam the SoCal hills, the Model 3 is the better choice for you. The next Tesla car is not so far away in the future. Allegedly, Model Y will be the next big thing Tesla brings to the world. It is said to begin production in late 2019. Suppliers have claimed that they received a request for information about Model Y parts. This is one of the first steps in the process of manufacturing the new model and it might take a couple of years from then on before the real work begins. The Model Y is expected to be a compact utility vehicle with similar range and capacity as the Model 3. It should be the next step to fulfilling Mr. Musk’s Master Plan for bringing EVs to the mass market. Apart from this, we don’t know much about the car yet. Elon Musk will share the production plans for Model Y later this year. So if you are just getting in the Tesla world, this could be interesting to follow. Yet, if you really want a Tesla car now, we suggest choosing one of the first two options. There are several options for financing your new Tesla on the company’s website, including opportunities for leasing and lending. This sales model of direct-to-consumer sales has led to disagreements with car dealerships in some states. That is why there is a ban on Tesla cars in some states. Texas, Louisiana, Utah, Michigan, and New Jersey are some of the states which do not allow direct Tesla sales (as of last year). Not only will this create a longer purchase process for consumers, but it will also end up in loss of revenue from sales taxes for the state. If you live in one of these states, you will have to buy your Tesla from another state. There are plenty Model S vehicles on the second-hand market and all you need is good search skills to find one near you. You can also check for CPO models on Tesla Inventory website and several other listing websites. Keep in mind the conditions of the Tesla you are looking at. The company recently updated their CPO program and now it lists vehicles before they are refurbished. According to the website, each vehicle still passes a 70-point mechanical inspection and cleaning. Yet, if you want any other maintenance check or additional work done, you would have to pay for it. If you are buying a used car from a private seller, make sure you get it fully inspected before purchasing. Ask for the car to be taken to a Tesla service center and check its current condition and its history. Also, check with the owner for any residual warranty remaining. The current owner may be able to purchase the extended warranty, roll it into the cost of the vehicle, and transfer it over to your name. Make sure you research the registration and insurance process in advance to avoid any unnecessary fees. We, at Corsia Logistics, will be happy to share your enthusiasm for your new Tesla and partner with you in bringing it safely home. Contact us to ask about shipping an EV, receive a comprehensive walk through the auto transport process, and request your free, no-obligation quote.